At the weekend Effie (Y3) took part in a duathlon with about 40 girls. It involved a 600m run, 1k bike then 200m run. She came joint 3rd after a very nail biting sprint finish. She showed grit and determination in such a long race in the searing heat. Well done Effie! Imogen (Y6) once again qualified for the world open figure skating competition, she did so well she was moved up to a division higher than last year. 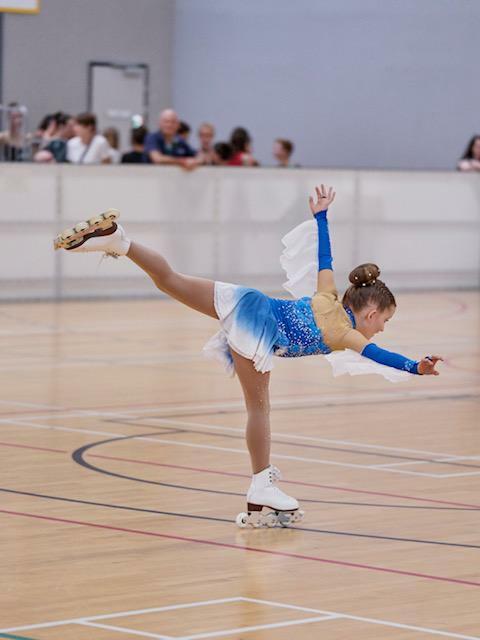 This division was much harder than last year, so Imogen wasn’t expecting to medal, however she actually scored the highest marks for her skating skills and presentation. She got a new PB, beating last year by 4 massive points and overall finishing 6th in the World at her level! The competition was incredibly close and she only missed out on a medal by 1.12 points! She managed to outperform skaters from Italy, Spain and France and was only kept from a medal by the Russian and Ukrainian girls. Well done to the Y4 children selected to play in a friendly match against Bollin on Monday after school. Bowdon won 6-3 and Mr Lewis was very pleased with their sportsmanship during the game. Mr Lewis is going to be arranging another Y4 match against Broadheath to give budding footballers a chance to represent the school!